We believe in rewarding those who help our charities! Help us help our charities and we will reward you for your good deeds! NOTE: When collecting corporate sponsorship/advertising, please refer to event website for pricing under the sponsorship tab. See above on top navigation bar. 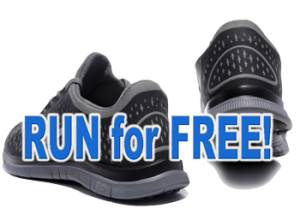 NOTE: If you sign up under the “Run for Free” level and collect less than $100 but still want to run, you’ll need to pay the onsite registration fee or up to the $100 pledge goal.